Two major players in the "smart lock" segment introduced new hardware this week with August unveiling a connected doorbell with camera, programmable keypad and a HomeKit-enabled version of its door lock, while Kwikset debuted an Internet gateway for its Kevo Bluetooth lock. August is building on its eponymous smart door lock solution with an upgraded HomeKit enabled version capable of accepting voice commands from Siri and app-based remote control and dynamic status checks. Externally, the chassis features an updated aesthetic with new "micro-patterns" said to improve grip, and a chrome indicator to visually confirm that the device is locked. Augmenting August Smart Lock is the Doorbell Cam. Powered by existing home wiring, the device acts as a regular doorbell with the added utility of an HD video feed for identifying visitors from a smartphone. A built-in motion sensing system detects when someone is at the door even if they don't press the doorbell, alerting homeowners to suspicious activity. The device also doubles as a wireless bridge for last-generation August Smart Locks, negating the need for August's standalone Connect unit. Finally, August Smart Keypad is an accessory that interacts with Smart Lock to grant on-site access without need for an iPhone. Owners can use August's app to configure new entry codes for guests on the fly and monitor lock/unlock events. On the software side, August announced Access, a program that grants one-time or regular Smart Lock access to verified partner companies like Sears and Postmates, even while away from home. By assigning unique entry codes to delivery, on-demand home services and other personnel, August is able to track access for added security. The feature is available now as an opt-in service. August's latest products are due out in six to eight weeks, but preorders are currently being accepted through the company's website. August Smart Lock with HomeKit support sells for $229, the Doorbell Cam comes in at $199 and the Smart Keypad goes for $79. August is also marketing a bundle that includes all three devices for $489. Kwikset also announced an upgrade to its connected lock lineup this week with Kevo Plus, an Internet gateway that lets iPhone users lock and unlock their door remotely with the companion Kevo app. The device connects to the Internet via ethernet and is capable of communicating with multiple installed Kevo locks using secure Bluetooth technology. In addition to remote control, users can monitor door access and receive alerts when Kevo is locked or unlocked. By bringing Internet connectivity to its Kevo line, Kwikset addresses what AppleInsider considered a major sticking point when it first reviewed the platform two years ago. Existing Kevo owners can upgrade to Kevo Plus for $69.99 through Kwikset's website, though the company recently announced gateway units are on backorder due to overwhelming demand. 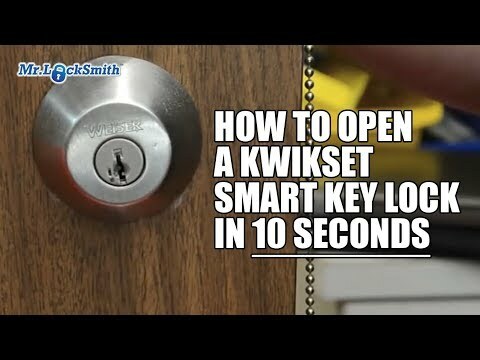 To bad that KwikSet Lock has the crap Smart Key on it!!! Why even bother having a lock at that point with one of these. How do you tell, it's simple, that tiny slot on the left next to where you put the key. using a simple tool that anyone can order on the Internet, you can break though that lock in under 10 seconds flat. That's because the internals are all plastic!!! Having builtin HomeKit support doesn't change anything about the huge FLAW in these locks. It's just that you spent more money for a worthless lock. Here's a example! @ jbdragon - It doesn't sound like the KwitSet is even HomeKit enabled, just now works with their own app over the Internet. @ everyone - I like the August lock, but it's a deadbolt replacement only. I need something to replace a single round door knob. The door is metal, locked via the knob, not a separate deadbolt lock. It would probably be expensive (if not impractical) to unmount the door and drill a hole for a deadbolt. Does anyone know of HomeKit-enabled locks that simply replace the door knob/handle? @damonf I have a metal door with an august. I did exactly what you mentioned: I drilled through the door and opposing frame. It works great. Just be creative. After my car was stolen and my phone went with it a had to get a locksmith to open the house up for me. 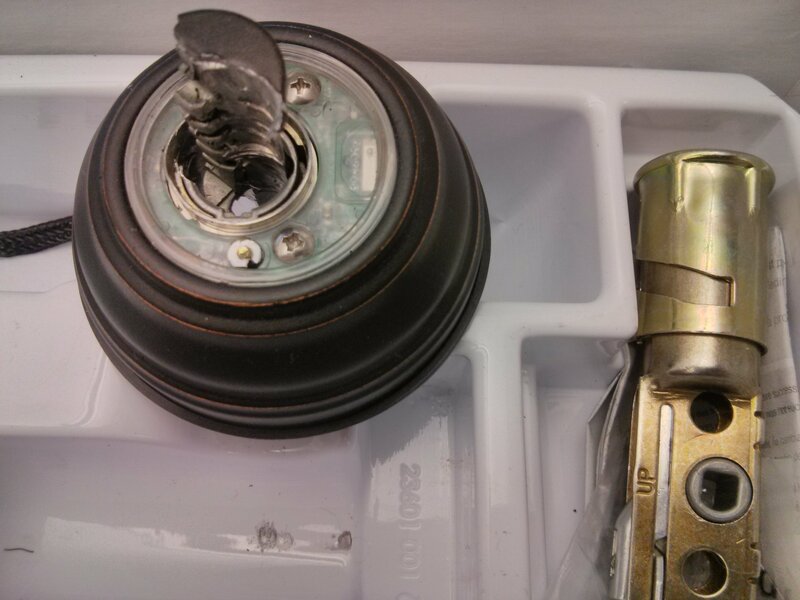 He tried one of the tools shown in the video, his had a large T handle though, said it would open it right up...it broke off right in the lock. So he went to the drill, https://i.imgur.com/Fm7TRek.jpg, it opened. Though it did break the bit off right as he finished. So Kevo is about $150 secure (cost of the new lock and the locksmith).